When SRS is baselined , project management recruit programmers and testers into current project. Project or product planning prepared by PM is more detailed. But testing team prepare separate test planning as well. 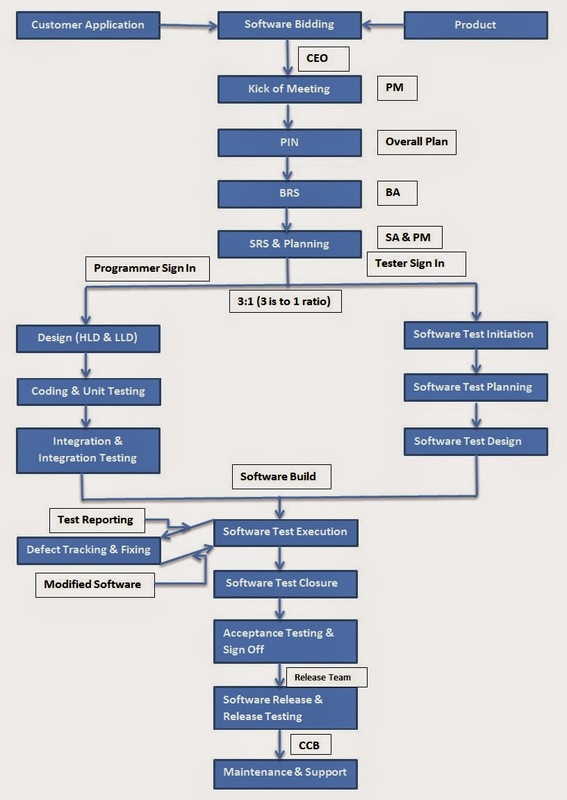 Testing team start writing test cases (In order to start writing test cases testing team study the SRS)and after that they detect the defects after getting the build from the development team.